I've pondered this question before and I still feel strongly about my earlier response. Yet sometimes people ask me this question and seem puzzled by my response . When I found the Economist pondering the question too, I knew it time to revisit the issue. The Economist, in The Invisible Hand on the Keyboard (Aug 3rd, 2006), noted "Like millions of others, economists from circles of academia and public policy spend hours each day writing for nothing" and "Time spent on the internet could otherwise be spent on traditional publishing or collecting consulting fees. " The other day, a friend even went so far as to call blogging a "passive strategy" for reaching buyers and sellers. "Passive?" I asked, "What's passive about sharing timely real estate insights, community information, and buying/selling strategies with interested parties?" And besides, if blogging is passive, what's active? Knocking on doors like a vacuum cleaner salesman? I absolutely HATE when salespeople ring my doorbell. Why would I want to inflict that pain on anybody else? How about spending thousands of dollars each month in a buckshot marketing approach like postcards or newsletters, most of which go directly in the recycle bin? I even got a phone call the other week from a real estate agent on the west coast, asking if he thought my efforts at blogging were paying off. Should he do the same? I don't know, what do you think? Are people reading blogs? Look, it takes a lot of time to blog regularly. Despite popular opinion (from non writers), writing is not always an easy artform. But compared to other forms of reaching an audience, including spending $1.70/click on Google (the going rate for Boulder Real Estate Traffic) for what likely amounts to junk visitors and click fraud, nothing beats a blog for connecting with a real audience. Because blogs are conversations, over time readers get a better sense of who you are and a major hurdle to building relationships (trust) is off to a good start. If you're good at it, i.e. provide value for the reader (in biz speak), the rewards will eventually justify the work. Note, I didn't say justify the expense. That's because unlike marketing campaigns, the only way to really quantify your blogging is through opportunity cost. However if you're up to date on prospecting and you're giving your clients 100% of the service they need, there should be time to blog. Just make sure you have something to say and get ready for some hard work. You have something to say, don't you? p.s. 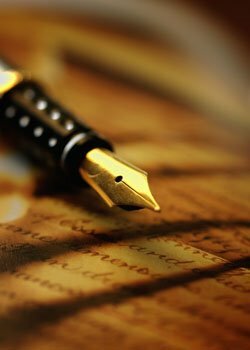 Writing is also a great way to clarify your thinking on various issues and gain deeper insight. It's similar to what teachers have told me about preparing lesson plans. You really learn the material when you have to teach it.